It had to be the perfect day, we weren't going to settle for "MEHH" weather and "just roll with it" moments. We waited out the storm and the day finally came where Mark and Diana's engagement session would be perfection. Diana and I met at a previous brides wedding, where she was a brides maid to a very close friend of hers last July, she had such a great vibe around her, the kind of vibe that just makes you feel so welcomed. Mark was the exact same way!! These two were meant to be! Mark and Diana met at a music show back in 2011 where they briefly connected. At the time they were both in different relationships and they went their separate ways. 5 years later, they reconnected and both were looking for something real and genuine. At first, she was very standoffish but that didn't stop Mark from following his heart. Shortly after that, they spent every moment of their time together! A little over a year later Mark knew that Diana was the one he would want to spend the rest of his life with. Taking her out to dinner one evening in the beautiful Napa Valley Mark Proposed, the best part is that they also found out they were expecting a beautiful little girl who will be due this fall!! Congratulations you two! I am so honored to have been a part of your lives, I can't wait to see what the future holds! 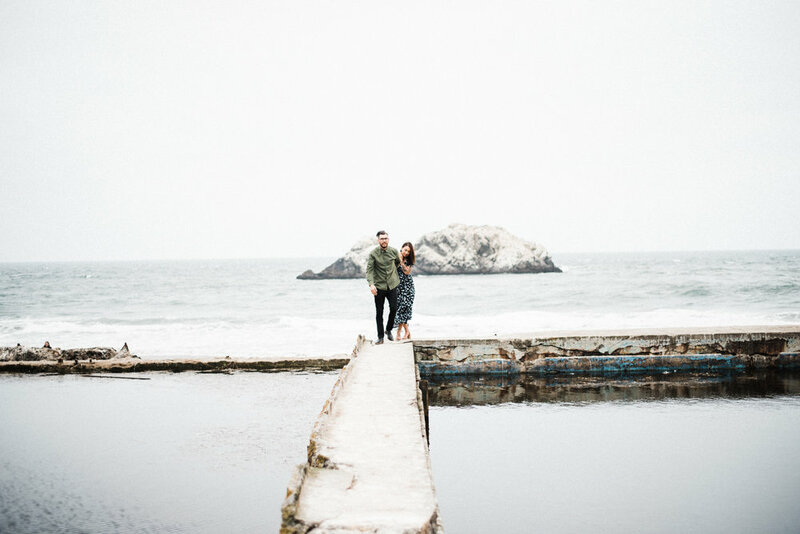 If you are expecting a newly engaged in the San Francisco, Napa, Sonoma, Northern California, Big Sur area I would love to talk to you about creating capturing your wedding day. Please contact me to begin planning your complimentary engagement session.